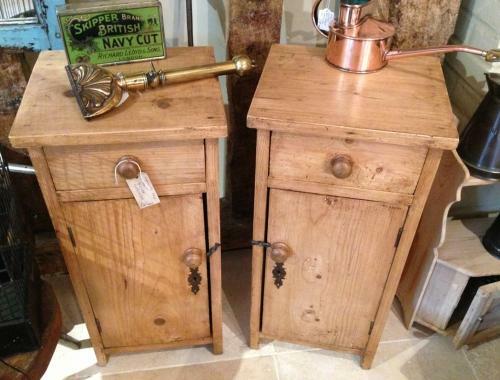 Matching Pair of Antique Pine Pot Cupboards. Both have a drawer and a shelf. Good to get a pair.